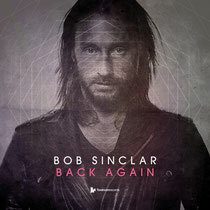 Toolroom Records welcomes popular French DJ/producer, Bob Sinclar, for the release of his track ‘Back Again’. Bob Sinclar: a producer whose rich understanding of both the club dance floor and radio airwaves has led to the creation of several huge tunes and has incited the adoration of fans and fellow producers alike. His versatility and passion to create and perform music is well known and with a production history that has seen him carve out a reputation as possibly one of the biggest house DJs on the planet, Bob presents the next release in his catalogue. The aptly named ‘Back Again’ is a crafted club cut that showcases a more underground side to this award winning artist. With its infectious bassline over a driving groove this has already garnered huge support across many corners of the house spectrum and should do well over the next few months. It’s out 25 August, check it out below. Bob Sinclar - Back Again on MUZU.TV.